THE B-MOVIE NEWS VAULT: Full specs & extras for Scream Factory's THE GUARDIAN Blu-ray! Full specs & extras for Scream Factory's THE GUARDIAN Blu-ray! 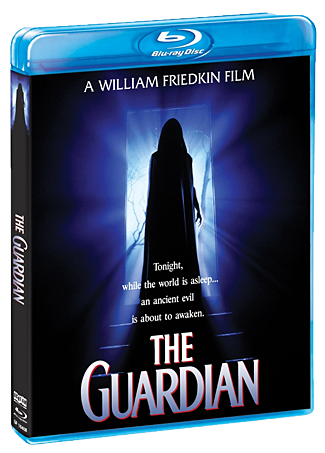 WILLIAM FRIEDKIN'S "THE GUARDIAN" COMES TO BLU-RAY ON JANUARY 19TH, COURTESY OF SCREAM FACTORY! Confession time: I've never seen THE GUARDIAN before. (I've got to get some points for owning Friedkin's SORCERER on Blu-ray right?) It's been on my list for a long time, and now I'll definitely have to pick it up because it's now part of Scream Factory's growing catalog! Film Synopsis: In his first horror film since THE EXORCIST, Oscar-winning director William Friedkin spins a terrifying tale based on every parent's worst fear. Jenny Seagrove portrays the enchanting guardian who enters the home of new parents Phil (Dwier Brown) and Kate (Carey Lowell) possessing impeccable references and an affinity for children. But as her true intentions are revealed, the battle for the child's soul begins in this chilling film based on Dan Greenburg's popular novel, "The Nanny." NEW! A Happy Coincidence - An interview with actor Dwier Brown. NEW! From Strasberg to The Guardian - An interview with actor Gary Swanson. NEW! A Mother’s Journey - An interview with actress Natalija Nogulich. NEW! Scoring The Guardian - An interview with composer Jack Hues. NEW! Tree Woman: The Effects of The Guardian - An interview with makeup effects artist Matthew Mungle. Return to the Genre - An interview with director/co-writer William Friedkin. The Nanny - An interview with actress Jenny Seagrove. Don’t Go Into the Woods – An interview with co-writer Stephen Volk. Scream Factory's THE GUARDIAN Blu-ray is due out on Tuesday, January 19th, 2016, and will be available wherever discs are sold. You can guarantee yourself a copy of this cult classic by ordering it right now from AMAZON.COM or directly from SHOUT! FACTORY. As expected, if you order from Shout!, your disc will arrive two weeks early! 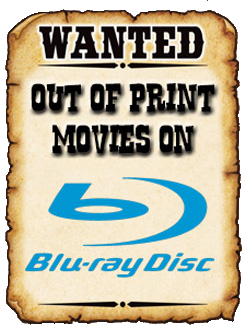 New DVDs & Blu-rays for 12/22/2015! New DVDs & Blu-rays for 12/15/2015! New DVDs & Blu-rays for 12/08/2015! New DVDs & Blu-rays for 12/01/2015!